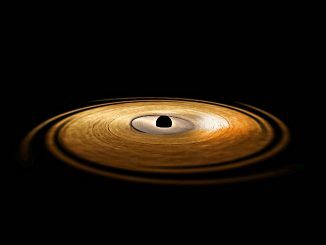 Astronomers have found evidence for a star that whips around a black hole about twice an hour. 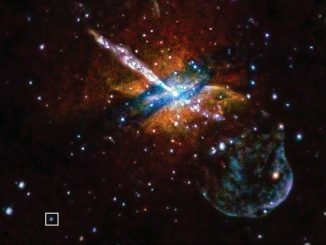 This may be the tightest orbital dance ever witnessed for a likely black hole and a companion star. An extraordinarily brilliant point of light seen in a distant galaxy, and dubbed ASASSN-15lh, was thought to be the brightest supernova ever seen. But new observations from several observatories, including ESO and the NASA/ESA Hubble Space Telescope, have now cast doubt on this classification. 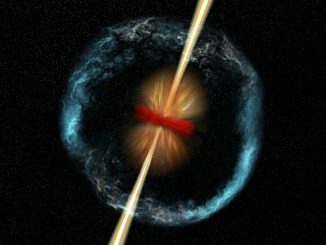 Fast radio bursts (FRBs) were first discovered in 2007, and in the years since radio astronomers have detected a few dozen of these events. 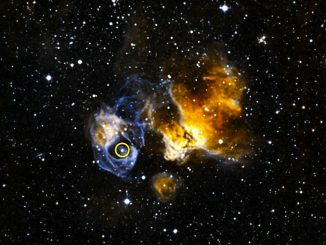 Researchers have found that these mysterious “cosmic whistles” can release a billion times more energy in gamma-rays than they do in radio waves, rivalling supernovae in their explosive power. 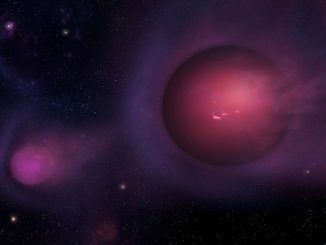 Astronomers have found a pair of extraordinary cosmic objects that dramatically burst in X-rays, flaring up to become about a hundred times brighter in less than a minute, before returning to original X-ray levels after about an hour. 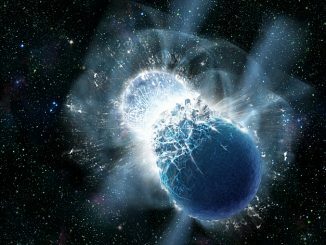 This discovery may represent a new class of explosive events found in space. 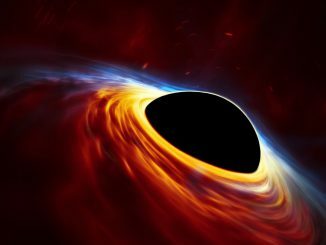 The European Space Agency’s orbiting XMM-Newton X-ray observatory has proved the existence of a ‘gravitational vortex’ around a black hole. 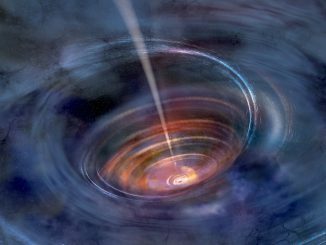 The discovery, aided by NASA’s NuSTAR mission, solves a mystery that has eluded astronomers for more than 30 years and will allow them to map the behaviour of matter very close to black holes. 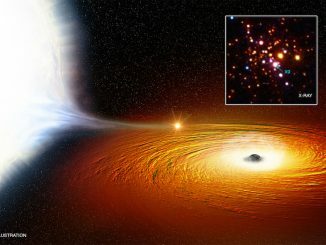 Some 3.9 billion years ago in the heart of a distant galaxy, the intense tidal pull of a monster black hole shredded a star that passed too close. 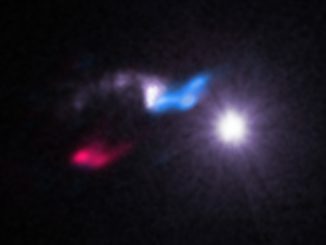 After X-rays produced in this event first reached Earth on 28 March 2011, scientists concluded that the outburst, now known as Swift J1644+57, also represented the sudden flare-up of a previously inactive black hole.